This is mountain land, but there’s no shortage of fun water activities in Boulder. Here are 14 ways you can enjoy the water with your family when the weather’s warm. 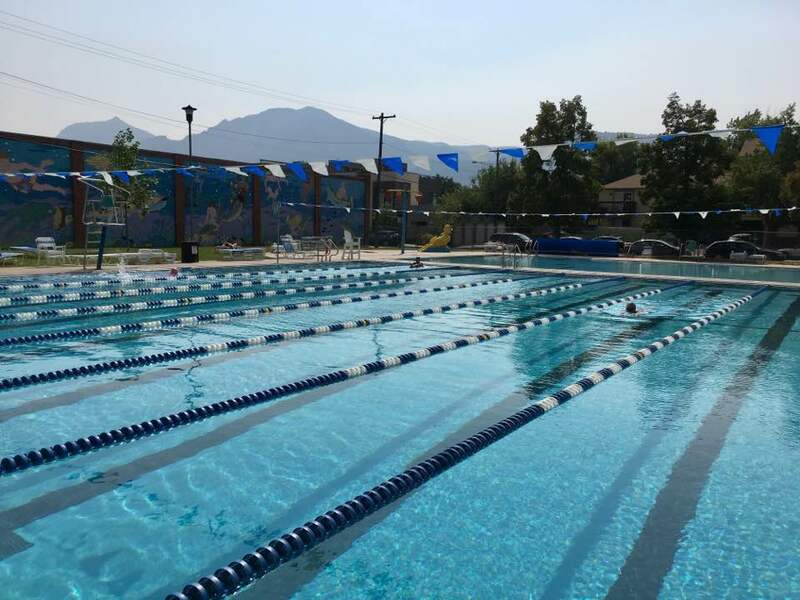 The city of Boulder has five public pools to choose from, both inside and outdoors. The indoor pools (the bright East Boulder Community Center, the quiet South Boulder Recreation Center and the North Boulder Rec Center) are open-year round. East Boulder is our favorite rec center bet for families, with a water slide, a “bubble bench” and a lazy river with a permanent temp as warm as 92 degrees. The outdoor pools are open in the summer. These are the Scott Carpenter Pool (a 50-meter pool) and the Spruce Pool. The latter is ideal for families, with water features, a lap and leisure pool, jets, fountains and a super cute yellow duck slide. 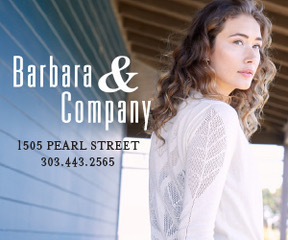 You can also find swimming pools at public fitness facilities, like the Colorado Athletic Club near the Twenty Ninth Street Mall and RallySport. The Mapleton Center YMCA also has a public pool, with swim lessons, swim teams and aquatic fitness classes. The other two area YMCAs also have pools. Another place to find great pools is at area hotels. The St Julien Hotel and Spa has a gorgeous indoor pool surrounded by windows with Flatirons views, and the Omni Interlocken Hotel in Broomfield boasts two outdoor swimming pools (one with waterfalls) and a whirlpool. For families that don’t want to leave the pool, you can eat poolside. But our fave pick for a hotel pool: Embassy Suites by Hilton Boulder. 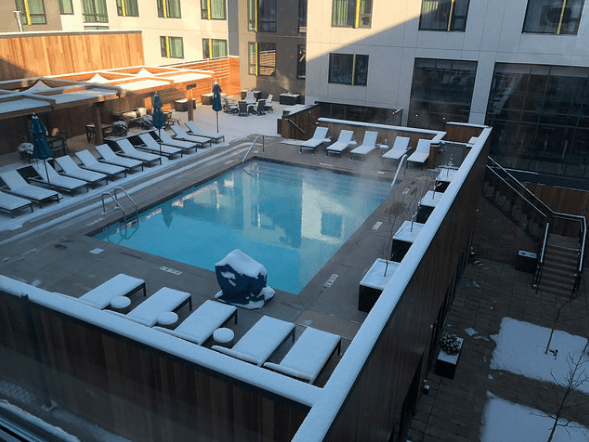 This stunning new hotel offers Boulder’s first and only rooftop pool. It’s a saline-based pool, so no stinky chlorine that burns your kids’ eyes. You might not be able to walk on water but you can stand up on it. Rent a paddleboard through Rocky Mountain Paddleboard at Union Reservoir in Longmont or the Boulder Res in Boulder. Paddle on the water, take a SUP yoga class or enroll the kids in a youth SUP camp. These are weeklong summer camps that teach kids the skills of stand-up paddleboarding, teamwork and how to get along with nature. Front Range Anglers offers guided fly-fishing trips for trout in Boulder and the nearby water. For something different, do a fly-fishing trip to the Rocky Mountain National Park. Or if you want to just cast out a line more casually, you can get your fishing license and gear here. You can go fishing on Boulder Creek (watch out for people in the water; you don’t want to catch them). But the best place to go fishing if you have kids is the Evert Pierson Kids’ Fishing Pond at Ninth and Canyon streets. This former gravel pit was transformed into a kids’ fishing hole in the ‘40s and is stocked with about 3,000 fish every year by the Boulder Fish and Game Club. It’s open to kids 12 and younger. You can go boating on Boulder Res and Union Res in Longmont. Watercraft on Boulder Res must have no wake during quiet hours, which are 5:30 a.m.-noon Tuesday, 5:30-9 a.m. Wednesday and 5-9 pm. Thursday. Union Reservoir is an only-wakeless boating lake; no jet skis allowed. Rent a boat through the Union Sailing Club (members only). 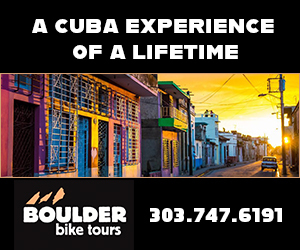 Rent a rowing and fishing craft, kayaks and canoes through Boulder-based Whitewater Tubing and Recreation. Men’s Journal named Boulder Creek one of the top-10 lazy rivers for tubing in the nation, although to be real, it’s not exactly lazy. Tubing down Boulder Creek is one of Boulder’s most popular summertime water activities, but depending on the age of the kid, it may be safer for older families. Expect rocks and rapids and bumps, depending on the time of year and water level. Make sure you wear a helmet and life jacket. Get your tube through Whitewater Tubing and Recreation. Kayaking and canoeing are popular in Boulder. The River’s Path is a canoe and kayak tour company based in Gunbarrel that can arrange guided trips down the St. Vrain River. 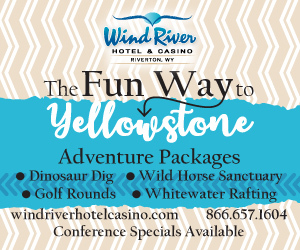 These scenic trips, always packed with wildlife, are open for people of all experience levels. 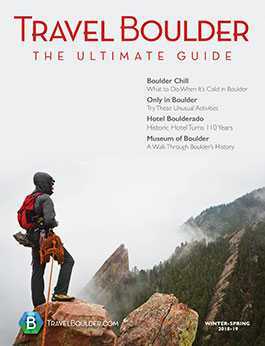 Boulder-based Colorado Wilderness Rides And Guides offers a variety of guided outdoor adventures on water, including fly-fishing (wading and floating) and white-water rafting. Trips vary from short two-hour trips to extended excursions longer than a week. Popular rafting waters include Clear Creek River (about an hour from Boulder) and the Upper Colorado River (also about an hour away). Ask about a “family float” on gentler waters. Boulder doesn’t have an ocean but it does offer scuba diving lessons through Ocean First. At this private facility, you can take swimming and diving lessons in an 89-degree heated indoor pool (it claims to be Boulder’s only heated indoor dive pool). The pool has both deep and shallow sections for different kinds of training. There’s even a beach volleyball court here. Kids can come for swimming or diving lessons, or you can get certified and sign up to travel to deeper waters with the company. 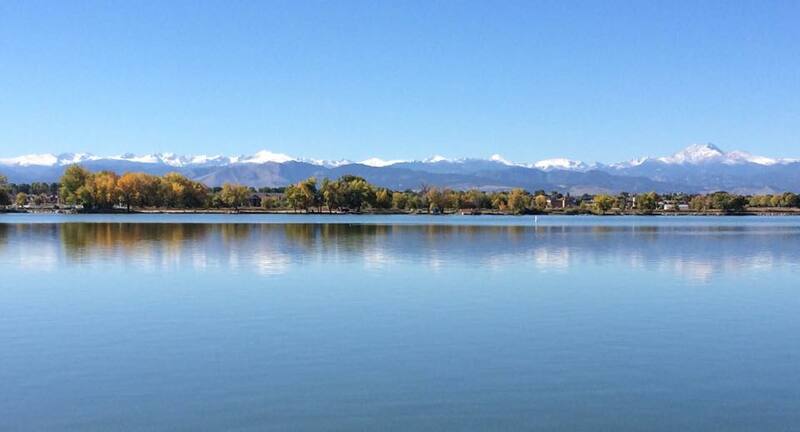 Union Reservoir in Longmont claims to be one of the best windsurfing destinations in the state. Check out Rocky Mountain Windsurfing and Kiteboarding for events, including the Fall Classic Potluck lunch at noon, followed by a race at Union Res on Sept. 16. Water World, near Denver, is the place in Colorado to go for water slides, but there are some smaller slides closer to Boulder. The Holiday Inn Express Hotel & Suites in Longmont has an indoor pool with a 150-foot water slide (plus a separate kiddie pool and a whirlpool, and the water area stays open late, until 11 p.m.). Kanemoto Park in Longmont has a children’s activity pool with a slide. The East Boulder Community Pool also has a huge twisty water slide. There are two small water parks near Boulder. First, the Bay Aquatic Park in Broomfield is an outdoor park best for younger kids under 13. Highlights here: two slides, an inner tube slide, play structure, “spray ground” and a zero-depth-entry pool ideal for younger kids. Then there’s the Great Outdoors Waterpark in Lafayette, with an outdoor lazy river, super slides (21 feet long), splay play areas, the AquaArch (part net, park monkey bars), a wood mini slide (a squishy log), water basketball and a Swirly-Vortex pool, with swirling currents. The closest natural hot springs to Boulder is the Eldorado Spring Pool, a historic pool (opened in 1905) filled by an artesian spring. This deep-blue pool remains a comfortable 76-80 degrees (much cooler than many other hot springs in Colorado), making it more suitable for younger swimmers. Believe it or not, Boulder has beaches. Union Reservoir in Longmont has a sandy swim beach where you can dig your toes in and build a sand castle. There’s also a sand volleyball court and nearby playground that kids love. 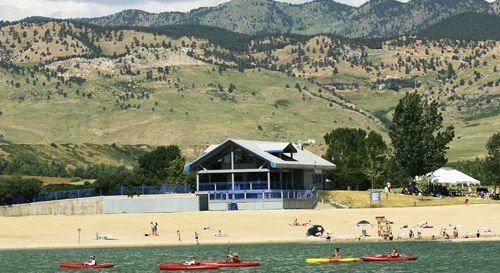 The swim beach at Boulder Res (open 10 a.m.-6 p.m. daily during the season) is also capped by a lovely sandy area, with views of the mountain range from the water’s edge. Bonus: This swim beach has a seasonal lifeguard and a shallow, roped-off section for small kids. 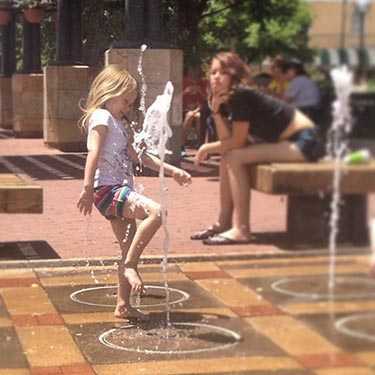 The pop-jet fountain near 14th Street on the Pearl Street Mall is a popular, easy way to get your toes wet. Water spouts pop up out of the walking mall and surprise kids. Parents can sit back on the grass under the shade of a tree and watch their munchkins splash and jump in the water.